Aravinda Sametha Veera Raghava movie released worldwide today and the film is getting positive reviews from all the corners. Pooja Hegde is the heroine and Trivikram directed it. Trivkram hopes high expectations on this movie because his last film failed at box-office. NTR proves yet again why he’s one of the best actors! Trivikram did a great job. @MusicThaman BGM and songs are a major highlight! 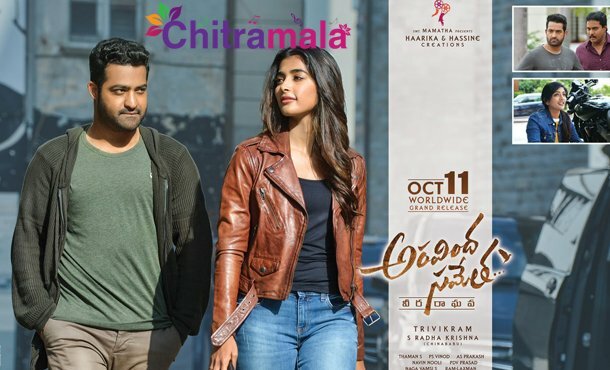 #AravindhaSametha is average emotional drama which is good in parts. Action choreography & NTR is the major highlights. Overall, film lacks punch. Mixed Feelings!